Hello! 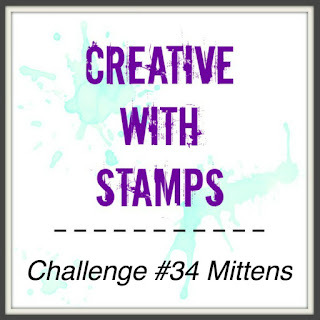 This month at Creative with Stamps we are pairing up our challenge with Double Trouble! The challenge for Creative with Stamps is "Mittens" and Double trouble is an embossed or patterned background paired up with something to keep you warm and cozy in the winter. 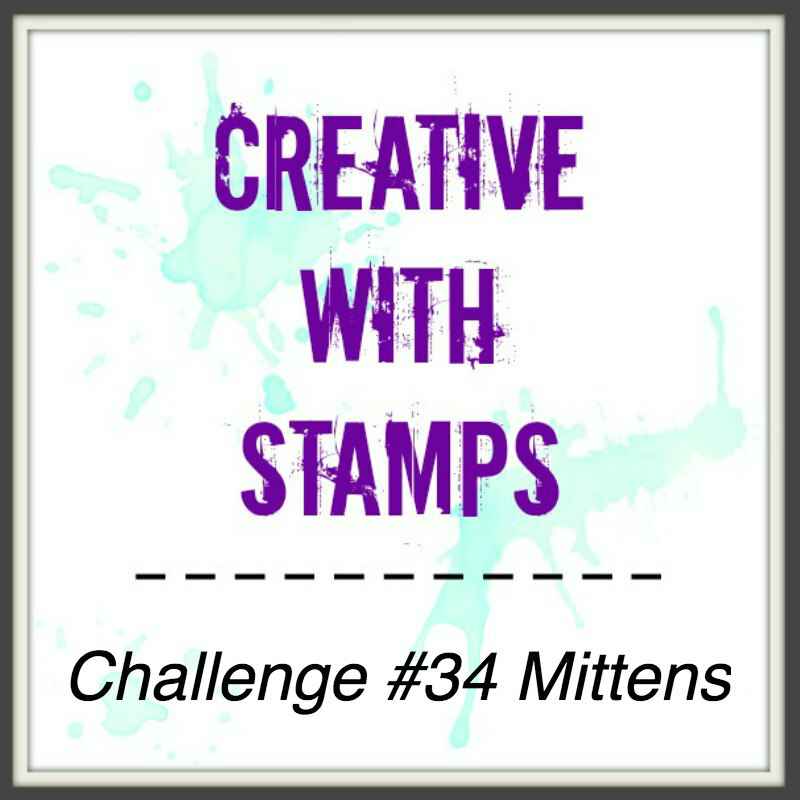 The mittens are Stampin up! stamp and die set and the sentiment is Club Scrap Watercolor Christmas. I added a bit of foiling on the edge (got some for Christmas and had to try it out!) The embossing folder is from my stash. I hope you head over to Creative with Stamps and Double Trouble to link up your on card! Love the embossed background and the foil on the edge, very pretty card. The Design Team has been invited to share their projects and hope you will share this with us at Double Trouble and you will be eligible for our random draws too. Thanks for sharing with us at Double Trouble. I saw your adorable card at Creative with Stamps and wanted to pop in and get a closer look! So glad I did - it's beautiful! 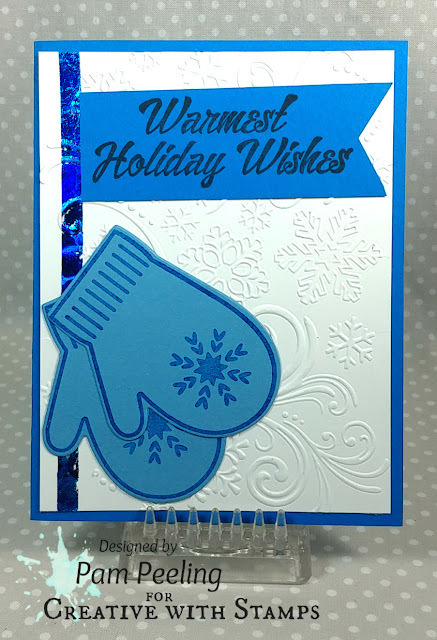 Love the large mittens and the gorgeous embossed background! Love the cool colors that you used...feels like a wintry day! Thanks for sharing with us at Double Trouble. Great card, Pam! The colors are perfect and that embossing folder adds so much texture to the design. Thank you for playing along at the Double Trouble Challenge.